Newport Jazz Festival is described as the “Meaning of Jazz” since 1954.This famous event originated in Newport, RI and is still a tradition today. It gives the audience the true feel of jazz while start-off musicians perfrom for their first time to large audiences. Such as Clara Ward Singers and Drunkard Singers, who made their first stand in Newport. After this music explosion from Newport Jazz Festival, it inspired a movie to be filmed dedicated to the music. Bert Stern filmed “Jazz on a Summer’s Day”, a documentary about captures the meaning of rhythms and blues, and rock in 1958. The following year, 60,000 attendees came to the Newport Jazz Festival for all four days to watch these styles of music. Even Louis Armstrong spent his 70th birthday in Newport and sang at the Newport Jazz Festival. The Jazz Festival became so famous that it spread to New York City, and Boston, which is still going on today. In 1993, President Bill Clinton attended at the 40th Anniversary of Newport Jazz Festival. The famous mansion the Breakers contributed to the music holding the Newport Jazz Festival in 2004. 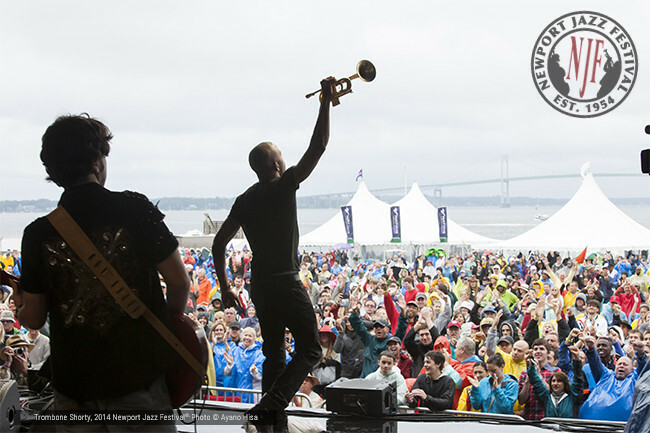 Then finally Fort Adams State Park took the honor of programming the Newport Jazz Festival for its 60th Anniversary for three days. This event has evolved into a focus group towards emerging artists and is still today. Contributing to rising artists and charities, it has been an incredible event. Besides the amazing history that convinces the crowds to come, but the location is breathtaking and something you cannot miss. Fort Adams State Park is one of the best locations in Newport; it has a perfect view of the bridge along the water of the east passage. It also has sea breeze to keep you cool during the festival when things are warming up. The 2016 Newport Jazz Festival is held on July 29-31 at the International Tennis Hall of Fame and mostly at Fort Adams. On the first day, there will be a cocktail party at the Horse Shoe Piazza within the International Tennis Hall of Fame. If you would like to attend the preconcert party it is $75 and watch the jazz artists you can reserve seats for prices of $45-$100. There are different sections at the International Tennis Hall of Fame that will determine how much you would like to spend. They are offering beverages, alcohol, and food as well. The main Newport Jazz Festival will start on July 29, and will remain in this location for the following two days. The general admission tickets will be between $15-$89 depending on what you want included. A two-day admission is $145, which is the most common. If you are a die hard fan of Jazz you can purchase the three-day admission pass for $170. If you are a picky eater, do not worry because there will be plenty of food choices to choose from. Acacia café food truck, Ben’s Chili Dogs, Del’s Lemonade, Open Season Catering, Thai Jasmine, and much are all vendors attending. Newport Jazz Festival is the ultimate to celebrate the history of jazz and the true meaning.